Every set of Puretone Flex 3 custom in ear monitors is custom manufactured from a soft flexible silicone material to give excellent comfort over long durations. These custom in ear monitors create an acoustic seal in the ear, effectively lowering noise and providing improved bass response, allowing the true sound of your instrument to be heard over the sound of the overall mix along with the triple drivers to deliver improved mid-range frequency response. 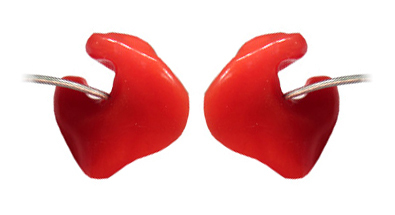 Puretone Flex 3 custom in ear monitors feature a fixed over the ear cable with 3.5mm jack plug. They also feature the new miniature user-replaceable wax guard system to make cleaning and maintenance easy. Ideal for any musician that wants an ultra comfortable set of custom IEMs on stage. For the Puretone Flex 3 you will need to have ear impressions, these will need to be made by an audiologist and are included in the price.